Where’s the Boston Herald’s Review of ‘Jersey Boys’? 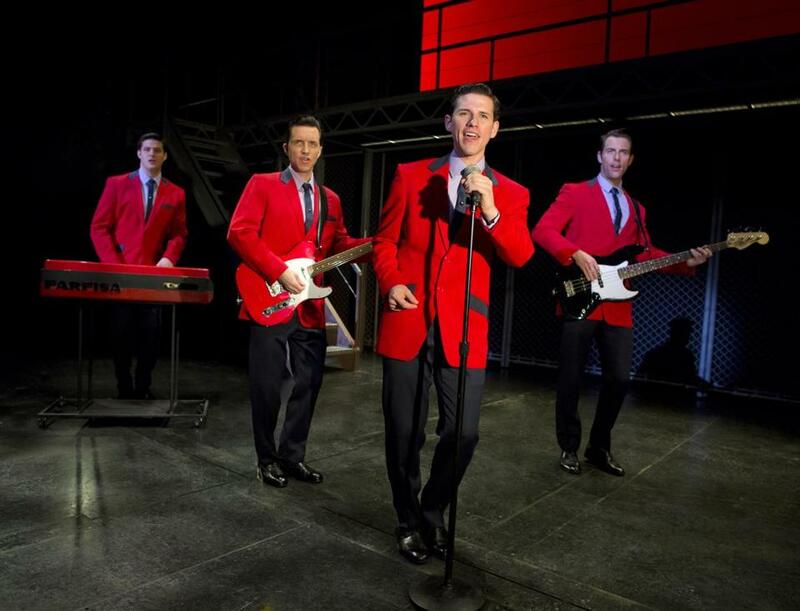 Jersey Boys – the long-running Broadway hit musical – has come to Boston’s Colonial Theater with mixed results at the local dailies. Four voices, four stories, one thrilling sound. There’s no denying “Jersey Boys,” the story of Frankie Valli and the Four Seasons, now playing at the Colonial Theatre, follows the overused jukebox musical formula, but what makes this show rise above the others is that sound, and the four men who made it. It’s easy to forget the number of hits the Four Seasons had, and how irresistibly toe-tapping those songs are. From “Sherry” and “C’mon, Maryann,” to “Rag Doll” and “You’re Just Too Good to Be True,” the writing team of Bob Gaudio and and Bob Crewe found delicious pop hooks that propelled the Four Seasons to the top of the charts throughout the 1960s. At the performance I saw, many in the audience not only tapped their toes, they sang along to every song. And what other musical can you name that has the crowd cheering at the arrival of a six-piece horn section? “Jersey Boys” boasts a book written by Marshall Brickman (best known for his screenplays with Woody Allen) and Rick Elice (“Peter and the Starcatchers”), who lay out the rags-to-riches tale of four boys from just outside Newark in simple chronological order, but along the way, they carefully draw characters whose motives are clear and whose relationships are complicated. In this touring production, some of director Des McAnuff’s unimaginative staging shows through because there is unevenness among the performances, and Sergio Trujillo’s choreography looks forced rather than precise. As a Jersey Girl myself, I might be overcritical, but Jacoby, whose bio says he’s originally from Boston, struggled to find an accent that sounded consistently like anything, let alone Jersey, and he also had some trouble staying on key while singing. Cosgrove, while he hit those high notes without hesitation, never locked in to the character of the honest guy who stayed loyal to his friends no matter what. But “Jersey Boys” is about the Four Seasons’ music, and as the audience reaction showed, these songs stand the test of time. The Herald, on the other hand, says . . . nothing. What – is the feisty local tabloid waiting for the production to get better? It’s not gonna, as they say in Jersey. This entry was posted on Friday, February 8th, 2013 at 6:26 am and is filed under Uncategorized. You can follow any responses to this entry through the RSS 2.0 feed. You can leave a response, or trackback from your own site.